“Trolling! Let me get this right Chris, we are going to go fishing for black bream; and we are going to troll for them?” “Yes Dave, that is correct! 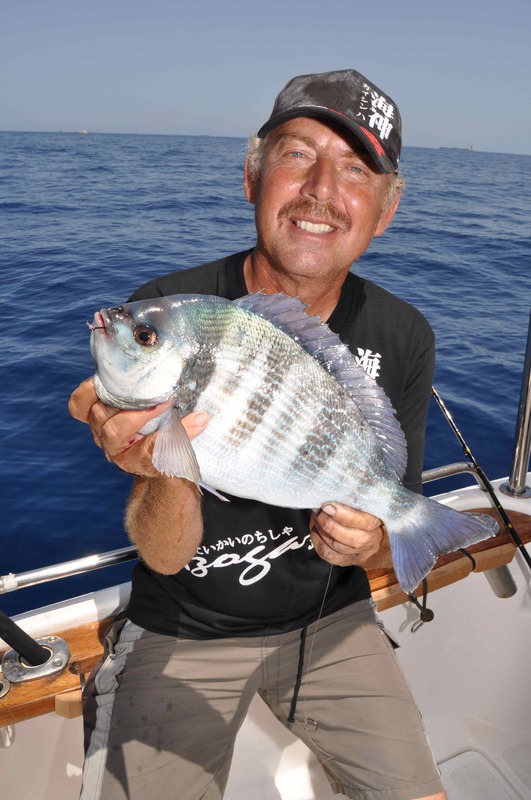 Here in Malta we have found that trolling is definitely the most effective technique for catching black bream, especially the bigger, specimens. The technique we use will catch other species too, including dentex bream and the powerful amberjacks that frequently we locate on the same deepwater marks as the blacks,” confirmed Capt Chris Borg Cardona. It was now almost midday and I had been fishing with Chris since a little before seven that morning. 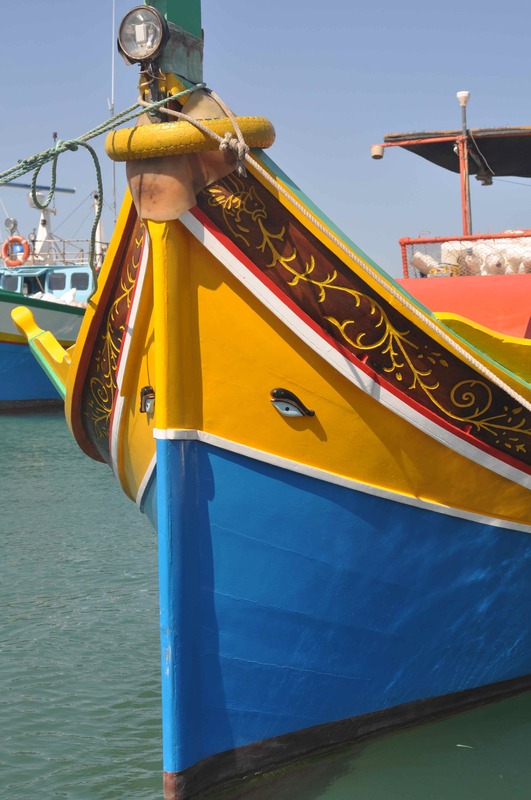 We had left the sleepy little inner harbour at Birzebbuga and headed out through Pretty Bay and then steamed in a westerly direction along the coast, where we had trolled off the south west coast of this delightful Mediterranean Island trying to catch an albacore, a species that undoubtedly is something of a Maltese speciality. Just a few days before my arrival local boats had been catching a dozen or more of these highly desirable, hard fighting members of the tuna family but such was my luck on this occasion that, for whatever reason, the shoals had either developed lockjaw or moved on. 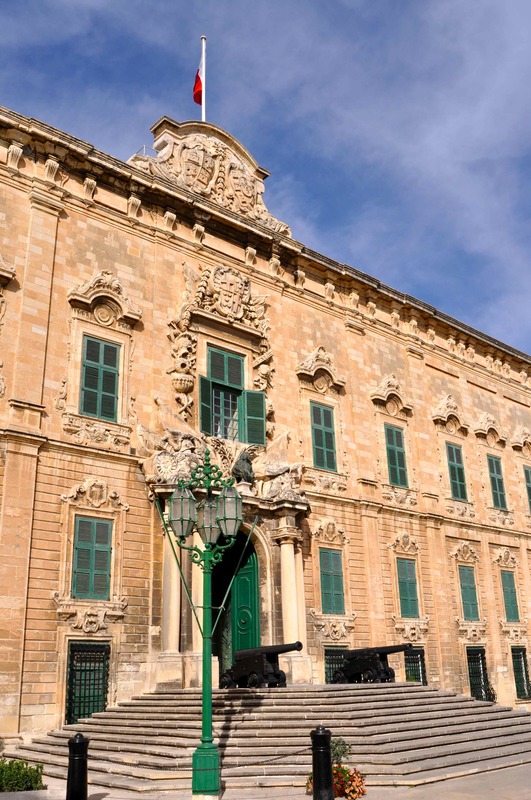 I had arrived in Malta on my first and all-too-brief two day visit just the afternoon before, and was treated to a fascinating tour of Valletta, the islands current capital, and Mdina, the historic old capital, that had been arranged on my behalf by the islands tourist board. Independent from the UK since 1964, over the centuries Malta has always been a strategically important base with the regions various dominant civilisations and has been conquered, colonised and governed by numerous civilisations, including the Phoenicians, the Carthaginians, the Romans, the Byzantines, the Normans, the Aragonese, The Knights of St John, the French and finally the British. 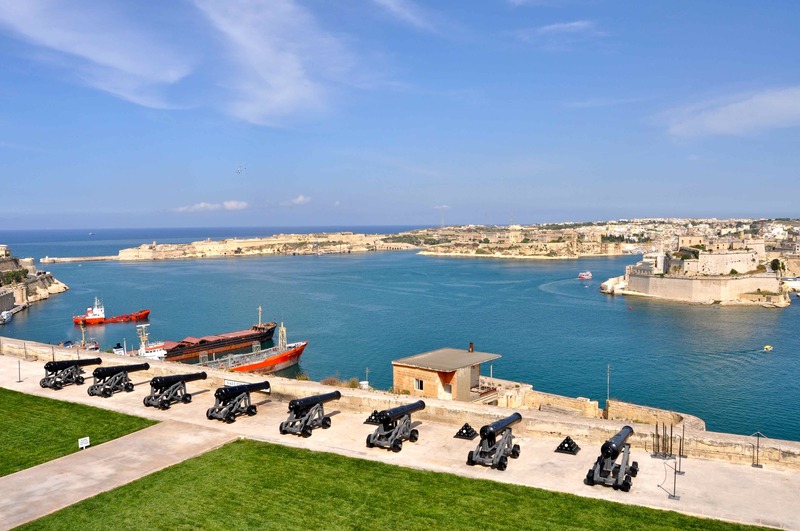 The Knights of St John were closely connected with the Knights Templar, the historic guardians of the Holy Grail, and to this day Malta is a great staging post for anyone looking to find the Holy Grail. In this instance, though, I am not talking about the golden chalice reputed to have been Christ’s drinking cup at the last supper, rather the Holy Grail of big game angling; the spearfish. Chris and his son Daryl, who jointly run Aquatica, catch several of these rarely seen and consequently highly sought members of the billfish family each year in the waters around Malta, without specifically targeting them. A spearfish is at the very top of my species-to-catch list and I was told there are a few areas, notably off the neighbouring island of Gozo, where, at certain times of the year, they can be caught with some degree of regularity; needless to say I’ll be going back! In addition to Mediterranean spearfish, which actually is a sub-species of the Atlantic long billed spearfish, the waters around Malta have plenty of swordfish swimming in them, though again rarely do anglers specifically target these. Key species of sport fish here are pelagics that include albacore, bluefin tuna, barracuda and dorado, and various bottom dwelling species including numerous varieties of bream, grouper and huge amberjacks. A wide assortment of other species are also encountered, obviously depending on the time of year and the techniques and baits used. 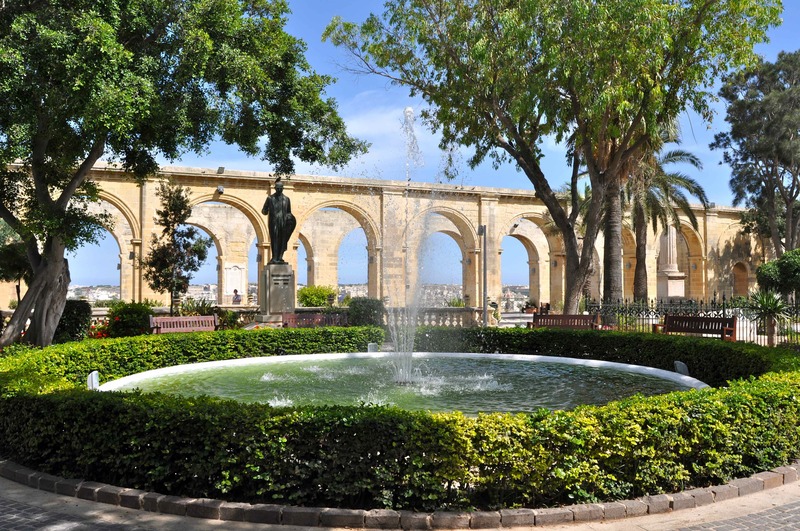 There’s much more to Malta than just fishing! After the better part of six hours trolling without even a sniff of a strike from an albacore or anything else, my resolve cracked and I asked Chris what else could we do; I needed to catch a fish? I was told that we could have moved to one of several reefs further inshore and tried jigging for dentex and amberjack and. providing we caught some live mackerel, which as later I was to witness was a formality, perhaps try some live baiting, too. The options for using cut bait for other similar species seemed plentiful as well, but it was then that Chris had mentioned trolling for bream, and I was intrigued. Further, when he had told me that he had personally caught black bream in excess of 5kg, yes that’s an 11lb black bream, I needed no further persuading that this was what we should do! The waters around Malta like most other areas I have fished around the Mediterranean are inherently deep, with the seabed adjacent to the shoreline invariably dropping rapidly away into depths that are quite simply ridiculous to attempt to fish with rod and line. Thankfully provided you know where to go there are more favourable areas to fish, and as a consequence local anglers have developed techniques that are specifically designed to target fish in these areas without having to anchor in very deep water or resort to using huge lumps of lead or electric reels. So we reeled in the trolling rods, restowed the outriggers and steamed up the east coast of Malta, past the entrance to Valletta Harbour and on to a mark off the north east coast where in fascination I watched as Chris set us up for our bream session. I admit that at first I really couldn’t see what the basic purpose of the technique was trying to achieve, but clearly Chris was supremely confident about our chances of success. So I tried to keep an open mind and watched the master at work in his intricate preparations for what ultimately would prove to be the most exciting black bream session I have ever had. For bait we had a 5lb box of frozen calamari and some fresh cuttlefish caught early that morning. I learned we would be fishing two rods, one rigged with a whole calamari to catch bream, the other rigged in exactly the same way, albeit with larger hooks, a stronger hook length, and baited with a whole cuttlefish to target the dentex and amberjack. Key to the success of this revolutionary technique, I was to quickly learn, was the importance of making each bait swim as naturally as possible in order to appear alive. Starting with the lighter bream rod, Chris began by rigging a pennel rig consisting of two small, size 1/0, very sharp yet very strong short shank Gamakatsu hooks. The top hook was attached to the hook length by first threading it through the eye, then ‘whipping or snelling’ the short shank to the line using a length of light mono. This held it firmly in place yet allowed the required adjustment necessary in order to rig the squid in exactly the right way. The hook length consisted of 30-40ft; yes I did say 30 to 40ft, of almost clear 20lbBS monofilament or, as I was told, better still fluorocarbon. The hook length was then attached to the braid on the reel using a very small high quality swivel, small enough to be wound through the rod rings, though obviously slowly and with some care to avoid damaging the ring inserts. About 10-20ft above this swivel the attachment point for the sinker was attached. This consisted of a 6ft length of monofilament that Chris folded in half, then in half again to create four equal strands on line that were tied directly to the braid using two uni-knots, one at either end. The purpose of this is to provide a wind on anchoring point to which the sinker can be attached via an easily removed snap link. The use of monofilament as an attachment prevents possible damage to the braid caused by abrasion, which undoubtedly would be the result were the swivel or any other fitting attached directly to the braid. Special sinkers designed specifically for trolling are used. These consist of a flattened vane moulded down one side of the sinker, which very effectively prevents it from spinning in the water and causing tangles. The sinker is attached to a 12ft length of mono line tied to the small snap link that clips onto the monofilament attachment tied to the braid. It is essential that the baits are attached to the hooks using great care, to ensure they swim as naturally as possible. Chris started by sticking the top hook through the body of the squid as near to the apex as possible, making sure it was sited perfectly along the centre line of the squid’s body. 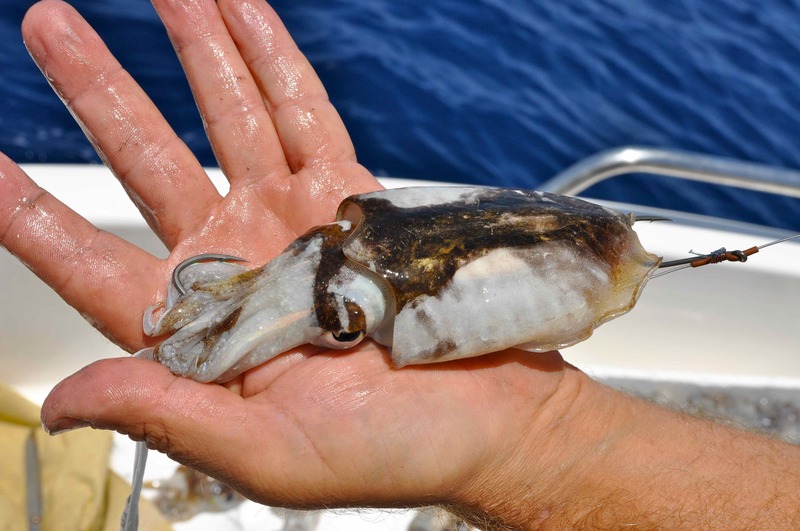 The second hook was stuck through the bottom of the main ‘tube’ that forms the squids body, again along the centreline, then the point was pushed once through the squids head; making sure the point of the hook was clearly exposed. It is important that a few inches of slack remain between the two hooks, in order to allow the bait to work as naturally as possible. Throughout his elaborate preparations Chris went to great lengths to emphasise the importance of correct bait presentation, pointing out that a poorly presented bait will not only spin and in doing so quickly create horrendous tangles, but draw far few strikes than one correctly presented one. Once rigged, the engine was put into gear and very slowly I lowered the baited rig down to the bottom, having first allowed the excessively long hook length to fully straighten out behind the boat; dropping down to fast will risk causing a tangle. As soon as I felt the lead tap the bottom, on Chris’s advice I wound in three or four turns to raise the bait above the seabed and any snags. Remember the lead is fishing off a long length of line so the actual bait was now ‘swimming’ even higher in the water, I’d guess around 20ft off the bottom. By using different weights of lead the two baits we trolled were effectively kept apart, with the one fishing off the heaviest lead fishing more directly beneath the boat, the second that had a slightly lighter lead further back. Chris had commenced trolling about half a mile away from the actual mark he anticipated locating the bream, and ever so slowly, probably at a speed of 1 knot or less, we headed towards the icon on his plotter screen. Just as we were approaching the spot the tip on the heavier rod dipped sharply twice, and Chris predicted that a black bream head had just removed the head of the cuttlefish; dentex and amberjack, I was told, don’t let go! Moments later the tip of the rod baited with squid banged down sharply and this time remained bent; finally we had hooked something! I grabbed the rod and could feel a good fish banging about on the end, which felt huge on the relatively light tackle we were using. At first I had thought it might have been a dentex, such was the power of that fish, but Chris predicted it would be a black bream and, of course, he was right; and what a bream it was! I don’t know for sure what my previous best for this species was but at around 5lb the fish I now held was certainly now the biggest black bream I’d ever caught, and I was delighted! Chris on the other hand, who was busy re-baiting the cuttlefish that indeed had had its head neatly removed, tempered my exuberance by pointing out that as was usually the case you get a few small bream first, before you locate the bigger ones! During the course of the next few hours we took our total of bream boated to around 8 fish, with several good fished missed. All were bigger than a couple of pounds that marks a decent bream anywhere in the UK, with the better fish comfortably weighing upwards of 6lb. 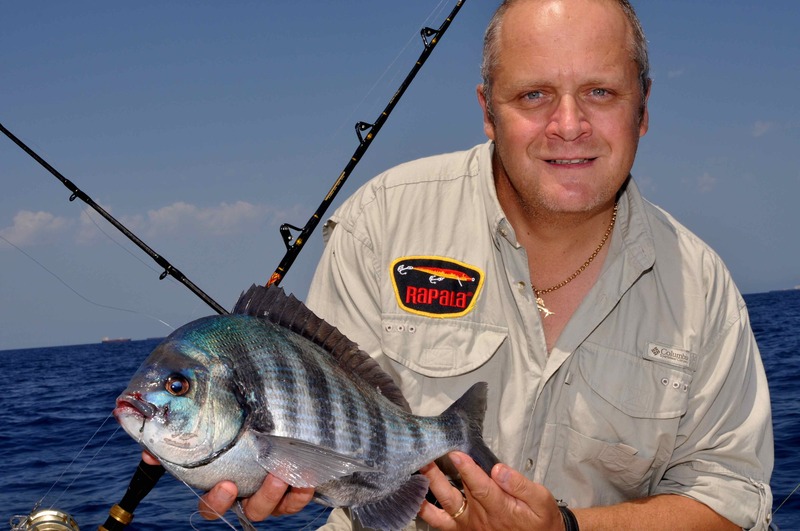 For me it had been a truly exceptional session, though for Chris it was just another days bream fishing off Malta. The poor man, he was clearly put out that the big fish he had promised me had failed to show, and try as he might he just couldn’t work out why…! Chris and son Daryl jointly run ‘Aquatica’ offering both specialist sea angling charters and diving, along with a well stocked tackle shop at St Paul’s Bay. They are a truly professional company, hugely experienced, and I sincerely look forward to fishing with them again. 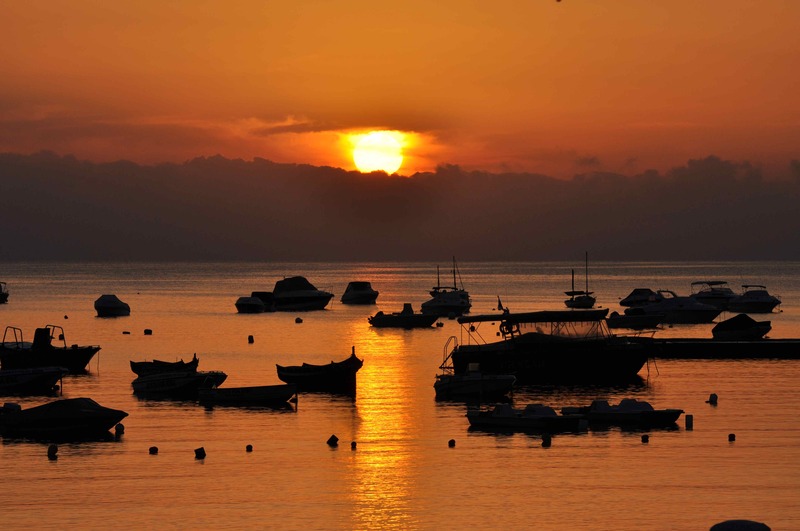 For more information visit www.scubadivingmalta.com and click on sport fishing. 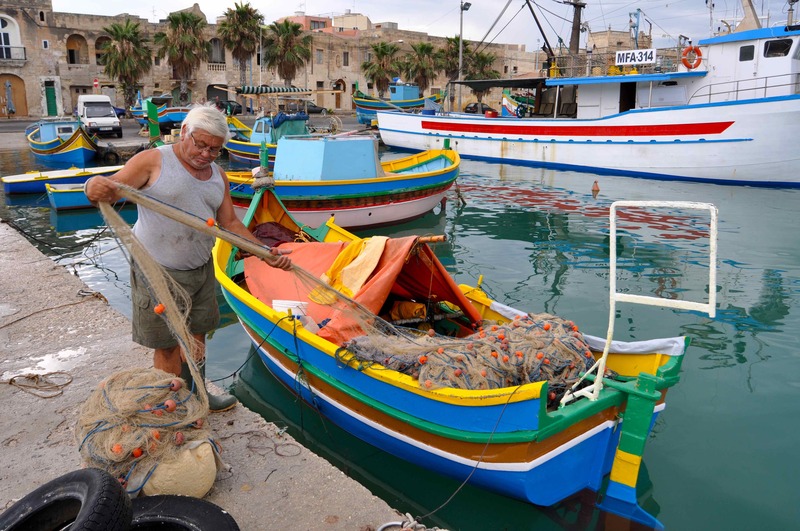 This is a highly informative site, full of excellent information for anyone planning on visiting and fishing Malta.